RICHMOND, Va. (AP) _ Virginia Democratic Gov. Ralph Northam says he’s going to veto a GOP-drawn map aimed at fixing an unconstitutional racial gerrymander. 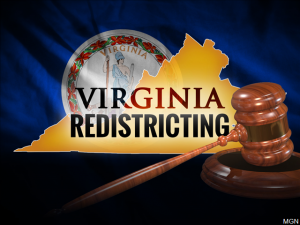 Northam said Tuesday the GOP-led General Assembly’s redrawing effort is too partisan and a federal court is best situated to draw a new legislative map. A House committee voted along party lines last week to advance a GOP-drawn map that supporters say does not unfairly advantage either major political party. Opponents said the map is unfair to African-American voters. A federal court ruled this summer that lawmakers illegally packed black voters into 11 districts and ordered lawmakers to draw a new map by Oct. 30.